We haven't looked at rings in a while, and a trend I'm loving is the midi ring. 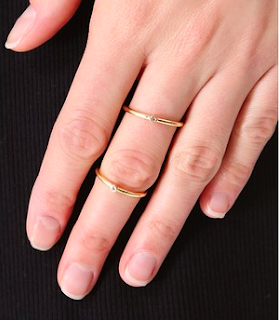 Those delicate smaller pieces that rest just above your middle knuckle. A lovely delicate ring set that is connected with a fine chain. I'm not much for festivals, but even I can get on board with this Coachella-esque ring! 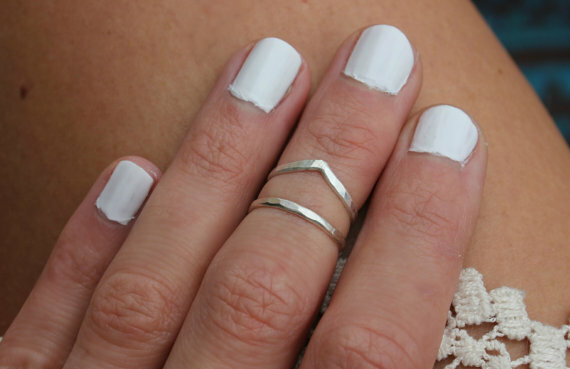 I love the simplicity of this ring. The outline vs a gold fill is quiet and easy. 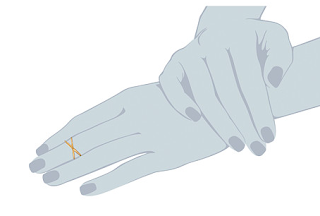 A great cross design makes this ring extra special. That, and it's on sale. 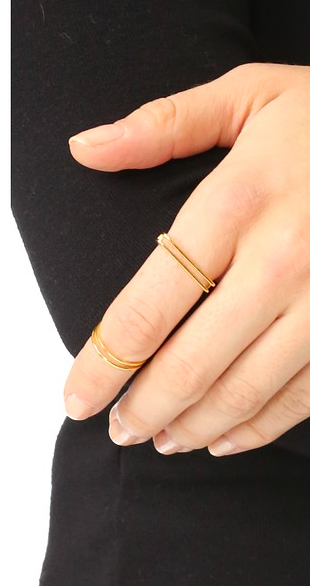 Have you tried the midi ring trend? Does the placement drive you nuts or is it easy to get used to?